16037 MAQ VIETNAM (1970) Power plant stoker. Unaccepted artwork for Consumer Industries series. Watercolor on heavy paper (29 x 21 cm), design + lettering measures 15 x 9 cm. 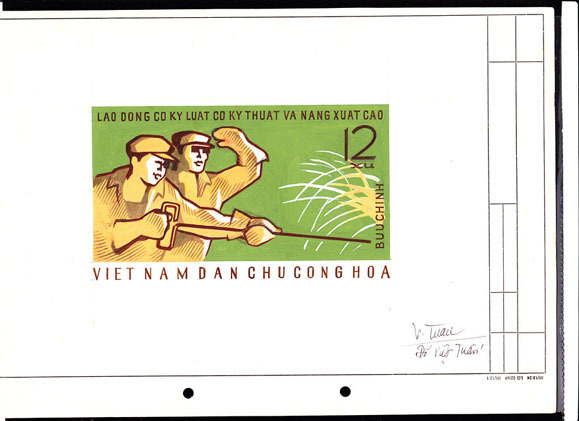 Signed by the artist Do Viet Tuan. Scott No 598, Yvert No 684. The issued stamp was in a vertical format.